The Nobel Prize Medal 1908, UC/RMED/405, Erik Linberg. Ernest Rutherford: New Zealand icon. He was born in Nelson in 1871 before attending Canterbury University. Rutherford was both the creator of modern atomic physics, and one of the greatest scientists of the 20th century. The first discoveries made by Rutherford included: that elements can change their structure and that the atom was made up of a nucleus surrounded by electrons. However, Rutherford’s most important contribution to modern science was the splitting of the atom which secured his title as the world’s first successful alchemist. In 1890 as a young man Rutherford started at UC, which used to be called Canterbury College. Then in 1908 Rutherford was awarded the Nobel Prize in chemistry for his discovery that elements can change their form from heavy, to slightly lighter. In 1914 Rutherford was knighted for his contribution to science. Rutherford died in 1937 as Ernest, Lord Rutherford of Nelson. The University is closely connected to Rutherford. In 1971 the University honoured the legacy of Rutherford by naming the chemistry/physics building the Ernest Rutherford building. 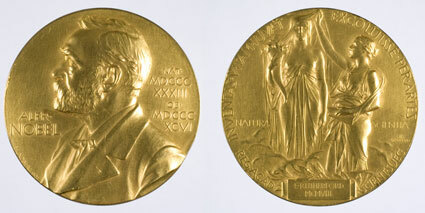 UC holds the Rutherford Medal Collection which was placed in the University’s care in 1938, following Rutherford’s death. The collection contains 36 medals, insignias and plaques. You can find more information about Ernest Rutherford in the Macmillan Brown Library collection and see replicas of the original medal collection on level 1 of the Rutherford building.